County-level health care. Each year, the Department of Health and Human Services updates its Area Health Resources Files, a vast suite of local health care data collated from more than 50 sources. Among the topics covered: the number health care professionals by specialty, various rates of hospital usage, air quality, and demographic profiles. You can download the data, or explore and map it online. 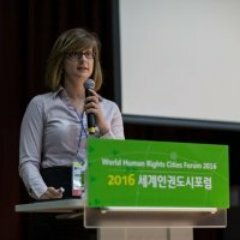 Seven years after it dismissed initial complaints against the South Korean Ministry of Justice's (MOJ) policy of mandatory HIV and drug tests for foreign English teachers, the National Human Rights Commission of Korea (NHRCK) has (finally!) recommended that the MOJ remove the testing requirement. NHRCK's recommendation follows the decision of the UN's Committee on the Elimination of Racial Discrimination (CERD) in May 2015, which stated that the MOJ's policy requiring a health check which includes HIV and drug tests for native-speaking English teachers (those on the E-2 visa) constitutes racial discrimination. The complaint which led to the ruling, filed by a teacher from New Zealand against the Ulsan Metropolitan Office of Education, was initially submitted to the NHRCK in 2009 when the testing policy was first implemented. Unfortunately, the commission dismissed it, along with 50 others protesting the policy, and cancelled its initial plans for a public hearing on the grounds that they were not willing to hear cases on individual complaints. (You can read more about the NHRCK's decision and the events leading up to it in a paper (PDF) by Ben Wagner, the human rights attorney who filed the case on the New Zealand teacher's behalf.) In dismissing the complaints, however, the commission allowed the case to be taken to the CERD, where it was accepted in 2012. [T]he Ministry of Justice takes a stand that an independent state is bestowed with wide discretion in its immigration control and, in particular, such tests are indispensable as the instructors are supposed to protect young students and facilitate a safe environment and public health. However, as noted by the CERD, even the vast discretion embedded in immigration control hardly renders it reasonable that while Korean teachers and ethnically Korean foreign language instructors are exempted from the testing, only foreign E-2 visa holders are under an obligation to test for HIV. Likewise, the concerns about a safe public health environment offer little ground for different treatment between ethnically Korean teachers and foreign instructors with E-2 visas. Second, it points out that the policy has the potential to stigmatize foreigners as being high-risk for HIV and thus lead the general public to believe that they are not at risk for infection. This is important, as the country's HIV infection rate continues to climb. English teachers may be able to use the CERD decision to persuade their employers not to require the HIV test; alternatively, they have the option to file a complaint with the NHRCK (either named or anonymous) and/or the UN CERD Secretariat. The full decision has been made available by Matt von Volkenburg on Gusts of Popular Feeling. Shameless plug: I will be presenting on this topic, including successes and ongoing advocacy initiatives, at this year's APHA Annual Meeting in Denver.